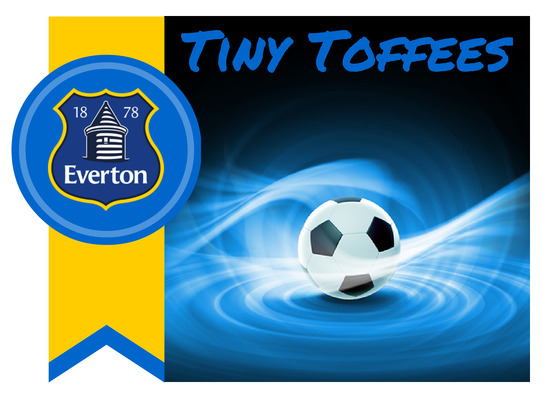 Everton America's "Tiny Toffees" program introduces soccer in a fun & exciting environment for 3-5 year old players. The introduction of our newest curriculum will provide our youngest players with the development of motor skills, encourage group interaction, develop communication skills and provide the fundamentals for a great start in the Everton America program. The Tiny Toffees program is the start of the Everton Player Pathway. The session takes place at SONO Fieldhouse on Saturday mornings. Our earlier session is full parent participation and the later session has some parent participation. The Tiny Toffees program includes a weekly newsletter outlining the learning objectives and provides activities and soccer homework for the players to do during the week.